Our Xtreme Weather Guard Overhead Door Threshold 20' Kit includes: 20'2" of Threshold, (2) 10oz Caulking Tube Adhesiving, and Installation Instrucitons. We manufacturer and stock the Xtreme 6" Wide Threshold Kits, available in 9', 10', 12', 16' 18', 20', Custom Lengths and Full Rolls. Made In USA. Our threshold is made from a rugged Flexible Polyvinyl Chloride (PVC). Xtreme Weather Guard 6" Threshold is the widest vinyl threshold available. Designed for Industrial, Overhead, Commercial and Residential Garage Doors. 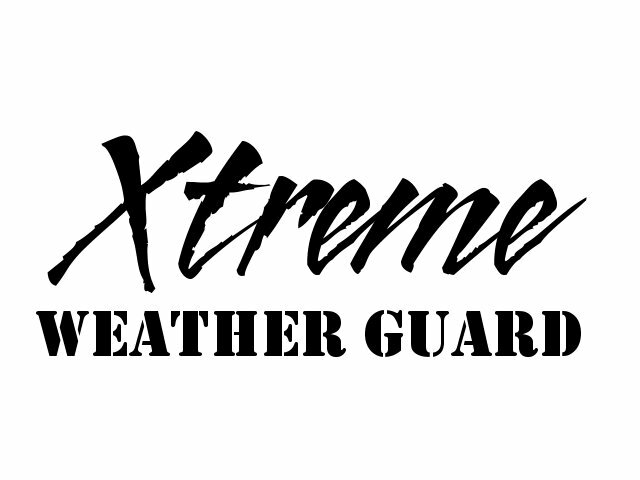 The Xtreme Weather Guard adheres to the concrete where the door meets the ground, creating a tight seal to help keep out water, dirt, weather, and pest. Helps to close any gaps left by uneven concrete. It will help to block wind-driven rain, snow, dirt, sand, leaves and rodents out. Also helps reduce rust and moisture damage to tools and stored valuables and help reduce costly concrete repairs. With the tight seal your garage door threshold will give you, your garage temperatures will regulate which will help to reduce energy cost for those homes with attached garages.